Description: Snake, one of the oldest mythological symbols, represents rebirth, transformation, immortality, and healing. In this piece, she has crystal eyes and wraps her light weight around the finger. 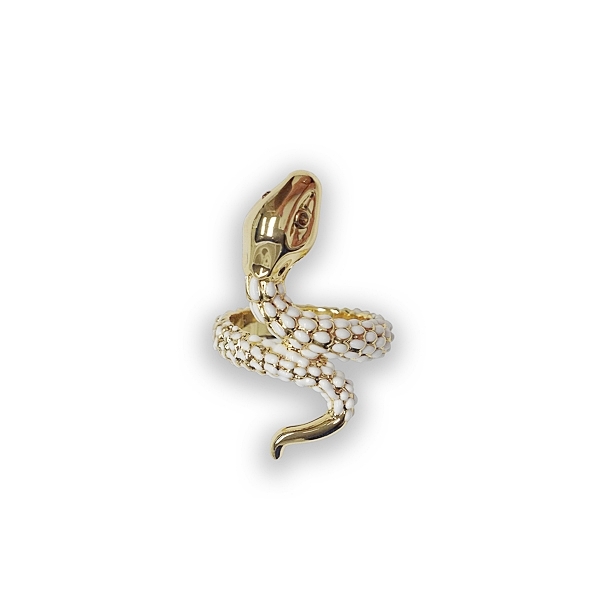 Her textured body is plated with 14k gold and has white enamel work. Material and Measurements: 14K Gold Plated Base Metal, Enamel, Crystals - Focal Point 1" X 1/2"
Enter Quantity for R-AE053-YG to add to your shopping cart.